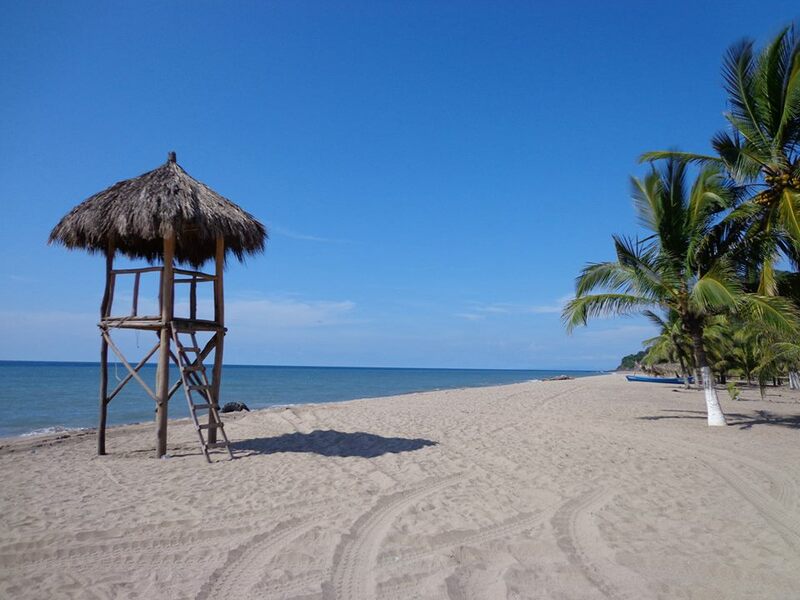 Lo De Marcos is located about an hour and 15 minutes north of Puerto Vallarta, outside of Banderas Bay. The town itself is an older Mexican town with absolutely no tourist attractions and is definitely nothing to write home about. However, you can’t always read a book by its cover! In our family’s opinion, Lo De Marcos has one of the most gorgeous and spectacular beaches along the coast. It literally looks like something straight off a postcard. The beach is approximately .6 miles long by 44 yards wide and is framed by lush green mountains and tropical foliage. Shallower waters with calmer currents are located in the middle section of the beach, while large ocean swells dominate the ends making this beach attractive for surfers. No matter what time of year we’ve visited Playa Lo De Marcos, it is a quiet and tranquil scene.